Retail Curb Appeal - What's the deal with lighting? While the most noticeable aspect of your property during the day may be your landscaping, when the sun goes down it’s all about the lighting. 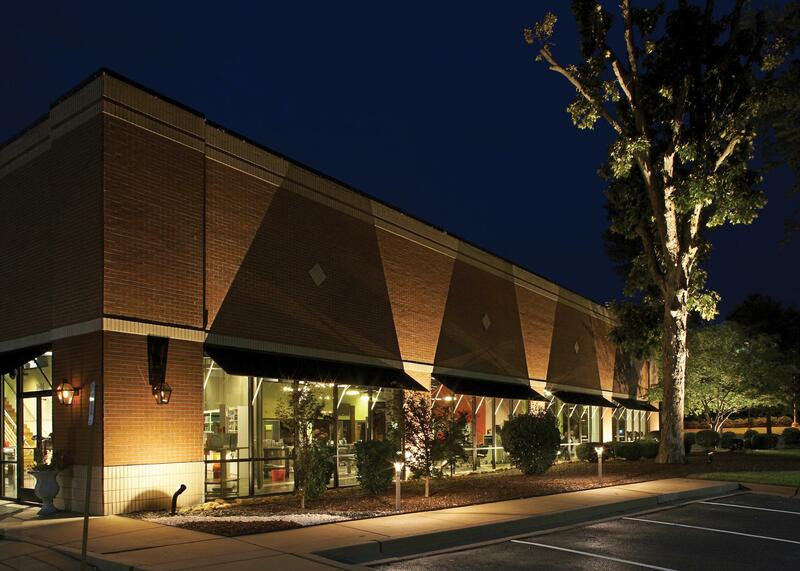 A well-lit property is an important aspect of any location’s overall curb appeal and can have a direct correlation to attracting and retaining customers. While a fully-lit site says “we’re open” and is inviting to customers, it also creates an environment that feels safe and reduces the potential for liability. Reduce trip hazards by providing a well-lit parking lot. Consider guiding customers straight to your door by lighting paths with accent lights above sidewalks. You can also incorporate lighting into your brick or pavement work for an added touch. Improve safety for guests by keeping your parking lot bright. 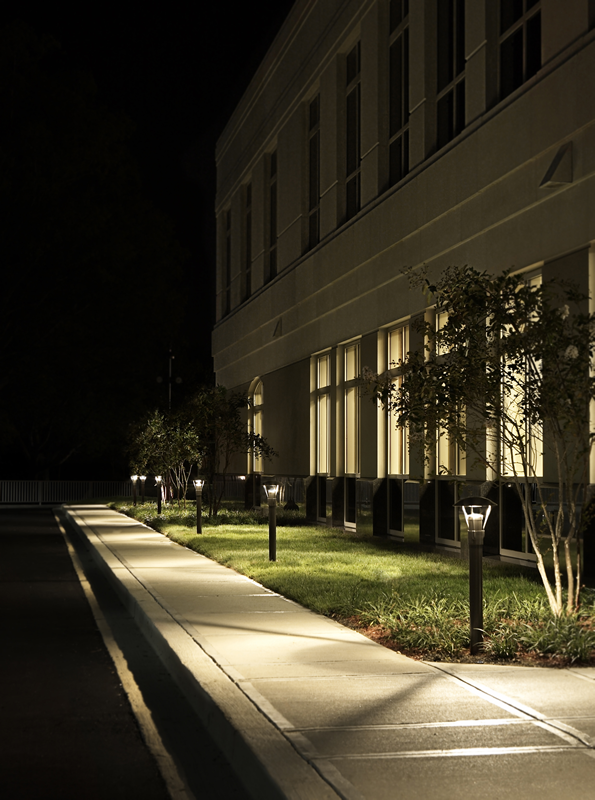 Take a walk around your building after dark and note any poorly lit sections of your parking lot. Address these areas immediately by adding additional lights to ensure safety and security for everyone. Deter crime and vandalism with spotlights. Whether you’ve got a large distribution warehouse or a small retail store on your property, ensuring that your property is adequately lit will make your location less attractive to criminals and reduce the risk of vandalism. Improve your brand image by implementing a preventative maintenance program to eliminate outages in lights and signage. Lighted signs can do wonders for your business when they function properly. Unfortunately, if you have burnt out bulbs or flickering lights inside your exterior signage, passersby may view that as negligent and be less likely to patronize your business as a result. Like any youngster who just received their very first participation trophy, display your business with pride! You’ve got a great property and you’re proud of the products & services your business has to offer, so shine some light on them. When it comes to cub appeal, it’s all about seeing your property through the customer’s eyes. A well-maintained exterior is the first step towards a well-maintained business. If you’d like help getting started with any exterior lighting projects and maintenance, reach out to the Subject Matter Experts at Ferrandino & Son. For more information about Ferrandino & Son lighting projects, email Sales@ferrandinoandson.com or call (866) 571-4609.